"Increasing transplant patients' access to medications: Medicare and beyond"
Originally published in AM J Health-Syst Pharm copyright 2001, American Society of Health-System Pharmacists, Inc. All rights reserved. Reprinted with permission. "Direct patient care services provided by a pharmacist on a multidisciplinary renal transplant team"
Originally published in AM J Health-Syst Pharm copyright 2000, American Society of Health-System Pharmacists, Inc. All rights reserved. Reprinted with permission. "Medication assistance programs for uninsured and indigent patients"
Chisholm MA, Roberts E. Medicare part D coverage and its influence on transplant patients' out of pocket prescription expenses. American Journal of Transplantation. 2006;6:1737-1742. Chisholm MA, Josephson MA. Nonadherence to Posttransplant Medication Regimens: Strategies for Improvement. Graft. 2005;7:222-232. Chisholm MA. Increasing medication access for the uninsured and underinsured. American Journal of Health-System Pharmacy. 2005;62:1653. Chisholm MA, Bagby TR, and Mulloy L. Renal Transplantation. In Swinghammer (ed). Pharmacotherapy Casebook: a patient focused approach. 2nd edition. Stamford, Connecticut. Appleton & Lange. 2000;115-117. Chisholm MA, Bagby TR, and Mulloy L. Renal Transplantation. In Swinghammer (ed). Instructor's Guide, Pharmacotherapy Casebook: a patient focused approach. 2nd edition. Stamford, Connecticut. Appleton & Lange. 2000;139-141. Chisholm MA, Reinhardt BO, Vollenweider LJ, Tackett KL, DiPiro JT. 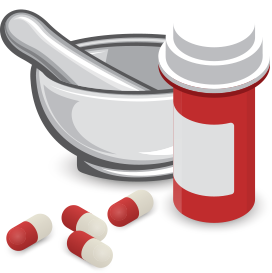 Medication assistance programs for uninsured and indigent patients. American Journal of Health-System Pharmacy. 2000; 57:1131-1136. Chisholm MA, Tackett KL, Kendrick BD, DiPiro JT. Assistance programs available for medications commonly used in transplant patients. Clinical Transplantation. 2000;14:269-281. Chisholm MA, Vollenweider LJ, Mulloy LL, Jagadeesan M, Wade WE, and DiPiro JT. Direct patient care services provided by a clinical pharmacist on a multidisciplinary renal transplant team. American Journal of Health-System Pharmacy. 2000;57:1599-1601. Chisholm MA, Vollenweider LJ, Mulloy LL, Wynn JJ, Wade WE, Reinhardt BE, DiPiro JT. Cost-benefit analysis of a clinical pharmacist-managed medication assistance program in a renal transplant clinic. Clinical Transplantation. 2000;47:304-307. Chisholm MA, Vollenweider LJ, Mulloy LL, Jagadeesan M, Wade WE, and DiPiro JT. Direct patient care services provided by a clinical pharmacist on a multidisciplinary renal transplant team. American Journal of Health-System Pharmacy. 2000; 57:1994-1996. Chisholm MA, Vollenweider LJ, Mulloy LL, Jagadeesan M, Wynn JJ, Rogers HE, Wade WE, DiPiro JT. Renal transplant patient compliance with free immunosuppressive medications. Transplantation. 2000;70:1240-1244. Chisholm MA. Adverse drug reactions in renal transplant patients.Medscape. 2001. Chisholm MA. Medicare coverage of immunosuppressive agents. Journal of the American Pharmaceutical Association. 2001;41(5):644-645.